We offer a wide range of used cars from top automakers. Beverly McDowell and I had a wonderful experience purchasing her first 2019 VW Beetle coupe. The entire staff was friendly and professional, explained our options without any pressure. From start to finish Sondra lead us through finding the right car. Also, Otis Cole was simply the best and made sure we were purchasing a car that fit our budget. We thank and appreciate the Reeves Team. 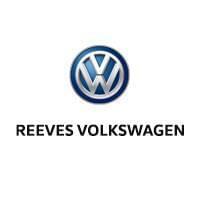 Thank you so much to Reeves Volkswagen dealer team for helping me get my truck back on the road. A special thank you to Miss Melissa for holding my hand every step of the way!!!!! My service advisor, Melissa and the service guys are at the top of their game - each and every time I bring my ‘17 Tiguan in for service.Reeves VW Service Dept. is the ABSOLUTE BEST. Anyway, anytime, anyplace - always! Everyone at Reeves deserves 5 stars. If you don’t see what you are looking for, contact us, and we will let you know when vehicles arrive that match your search! Or if you would rather, discuss your options with our friendly sales staff. Click on Directions for interactive driving directions and other contact information. We look forward to serving you!